 When you live at Lake St. James, you live near everything you need to live life to its fullest. You will be just 30 minutes away from Atlanta and all the rich history and sites it has to offer. Enjoy the relaxing suburban feel of our quiet neighborhood while still being close to everything you could need. You will have easy freeway access to I-20 so you can enjoy an easy commute to school, work, or wherever you need to go. Enjoy proximity to local attractions including the 20th Century Fox Film Corporation and the Arabia Mountain Heritage Area and Nature Center. Plus, you’ll have access to all the great local shops, restaurants, and entertainment. Below are a few of our favorites. Check them out when you stop by for a tour! The Mall at Stonecrest offers the best of regional retail, dining and entertainment. Stop by for some family-friendly fun or a shopping spree! Need dinner plans? This low-key, wood-paneled steakhouse is best known for its Southwestern-inspired fare, live music, and inventive margaritas. This laid-back restaurant is known for its mouthwatering, slow-cooked BBQ & cheese biscuits, plus burgers, salads and classic sides. Enjoy a filling meal in a no-frills environment. Find everything you need here at a great low price! Walmart is the perfect place to go for groceries, electronics, toys, clothes, and more. Enjoy quality food at a fast food pace in a casual dining setting. Enjoy all your favorite classics from wings to burgers to everything in-between!